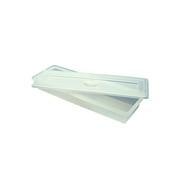 A strong PVC tray for holding sample bottles with base diameter not greater than 22mm. 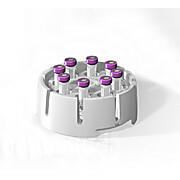 Ideal for 7mL (1/4oz) Bijou bottles or specimen tubes. 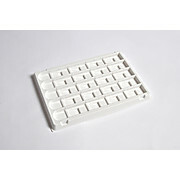 Each of nine rows can hold 12 to 15 of such bottles making a total capacity of 108 or more. 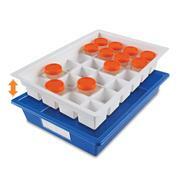 50-place chipboard tray compatible with Evergreen Slide-Fix™ Jars and Dilution Vials. 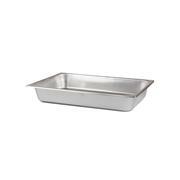 …a minimum. 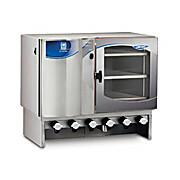 They significantly speed up the processing of micropreparative loads in first-dimension analysis. 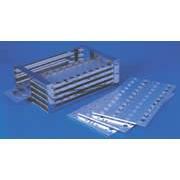 Designed for maximum performance and flexibility, the manifolds can handle 12 IPG strips simultaneously. 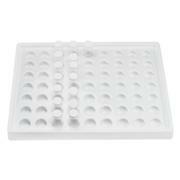 Sample equilibration can also be performed in the same tray, saving substantial time. 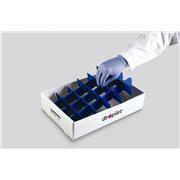 Designed to hold ~30 pipettes. 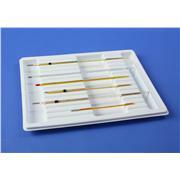 4 compartments accomodate pipettes of 1-2-5-10mL capacities. 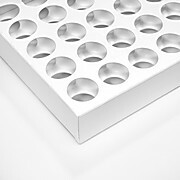 We offer replacement Sample Trays for use with NexION 300 inductively coupled plasma mass spectrometry (ICP-MS) models. 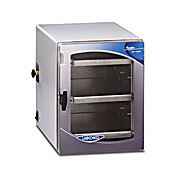 Autoclavable polypropylene, with tapered sides Cover has hand grip at center; skirted edges fit into groove molded into flanged top of pan Can be stacked when cover is in place Dimensions shown are length x width x depth. 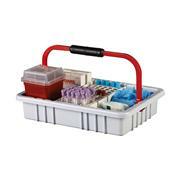 Nalgene® 7130 Of high-density polyethylene Divided lengthwise by fixed central partition with molded handle Dimensions shown are length x width x depth. 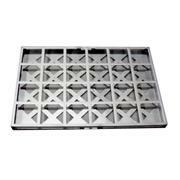 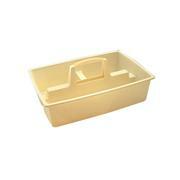 Multipurpose Polypropylene molded trays can be used for sterilizing, drying glassware, porcelain ware, and other laboratory supplies. 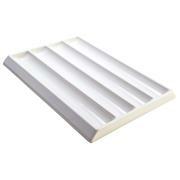 These steam autoclavable trays have tapered walls designed for nesting. 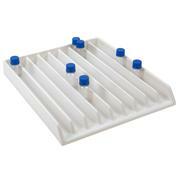 Scintillation Vial tray protects and organizes. 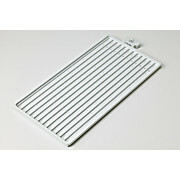 Measures 36 x 43 cm (14 x 17"). 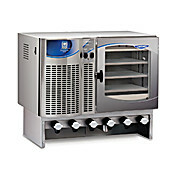 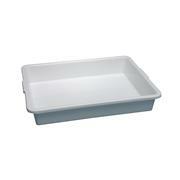 Molded from polystyrene for lightweight and easy cleaning. 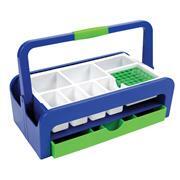 Sized to fit in standard lab bench drawers.